When King Zeus arrived at the adoption event on October 13, he seemed already resigned to the fact that he wouldn't find a family. 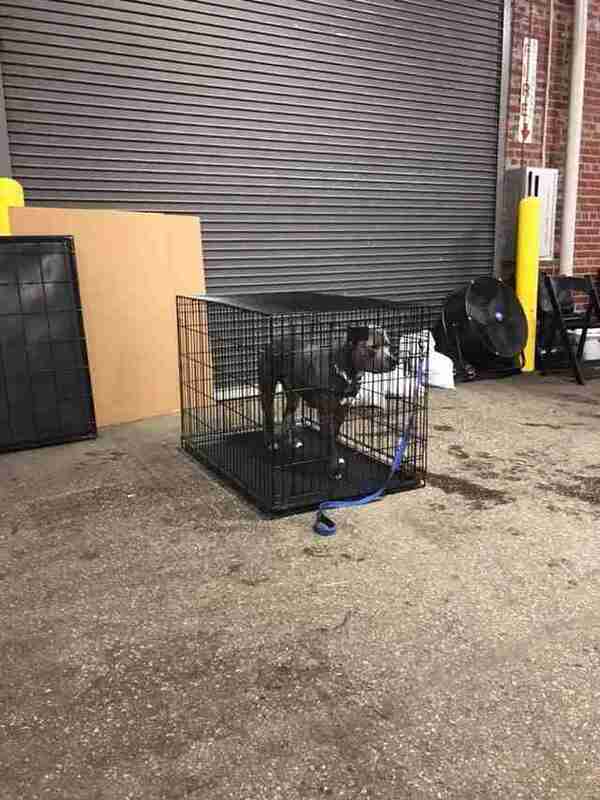 The 6-year-old pit bull mix had lived at the Humane Society for Hamilton County, Indiana, since May, and from his first day there staffers could see that life on the streets had not been easy for King Zeus. 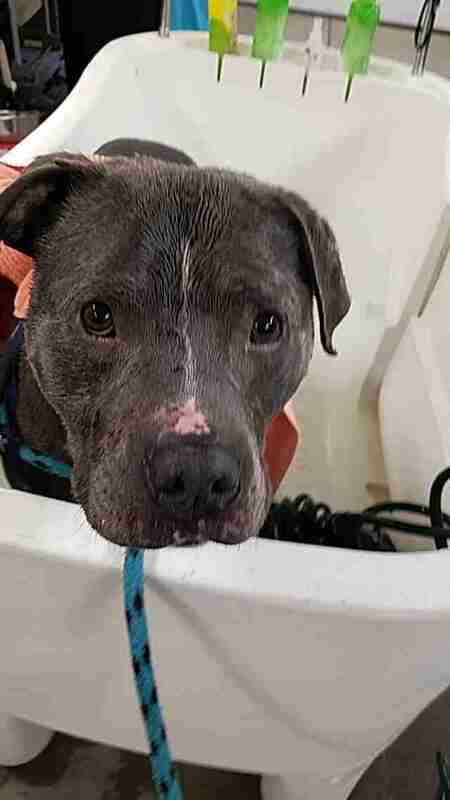 The gray dog’s body and head were pockmarked by scars, years of sleeping on hard surfaces had resulted in pressure sores on both his front legs and his teeth had been worn down. Zeus had rarely, if ever, known the comfort of a real home, or the softness of a bed. 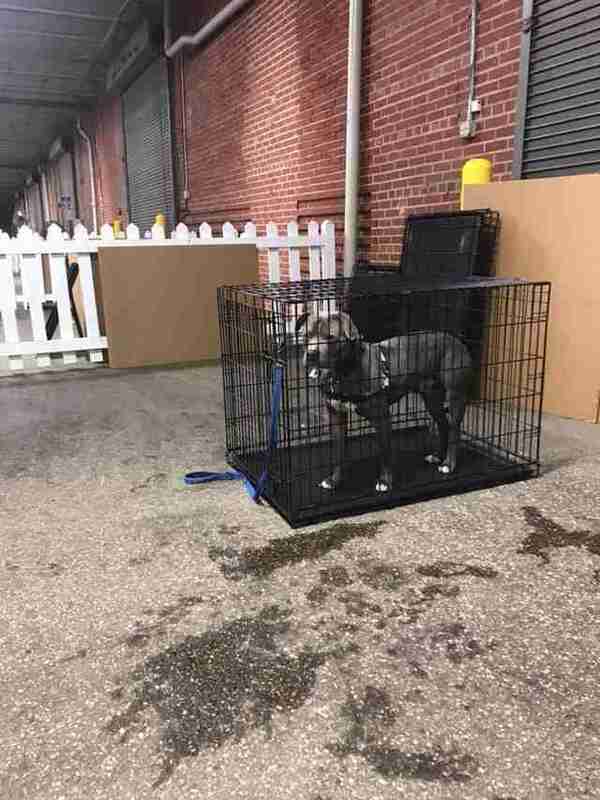 But with hundreds of people set to attend the annual adoption event held at the Indiana State Fairgrounds, staffers were sure the kind boy wouldn’t be ignored. While 299 dogs found homes at the adoption event, by the time the weekend was over, King Zeus wasn’t one of them. In fact, no one was interested enough to even meet him. Staffers couldn’t believe that once again Zeus would be returning to his kennel. 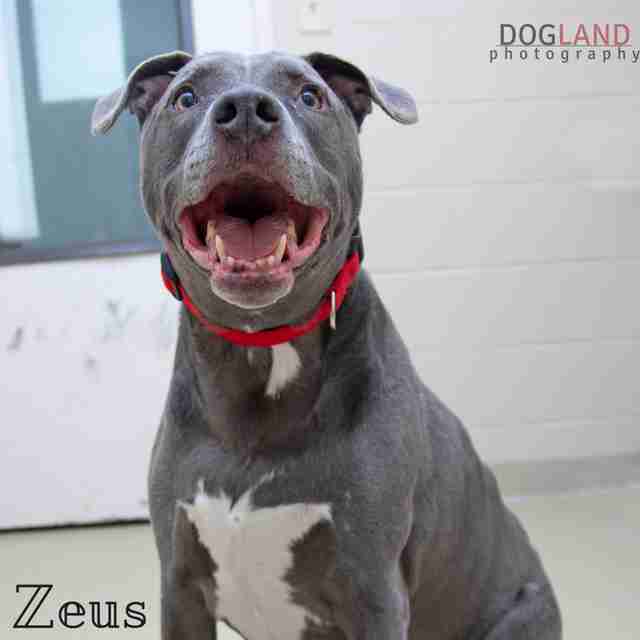 Zeus continues to wait for the right person to choose him, and until that day comes, he has a devoted group of people trying to keep his spirits up. 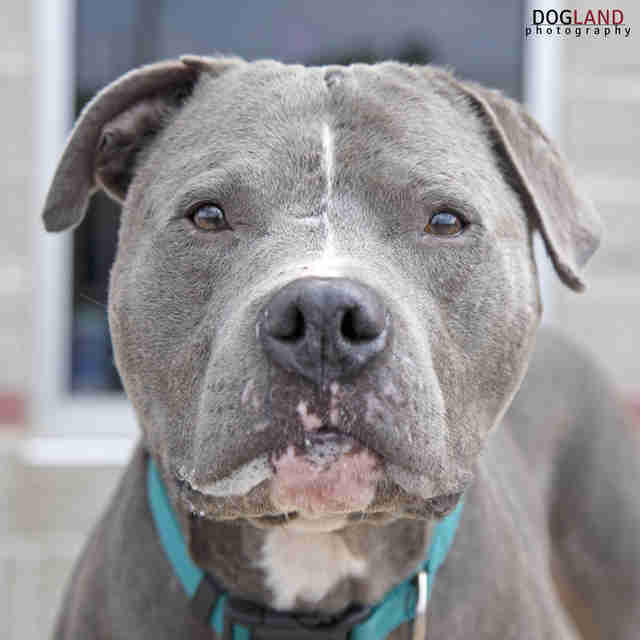 If you live in the Indianapolis area and are interested in adopting Zeus, you can fill out an application on the Humane Society for Hamilton County website. To help with the care of King Zeus and other homeless animals, you can make a donation here.